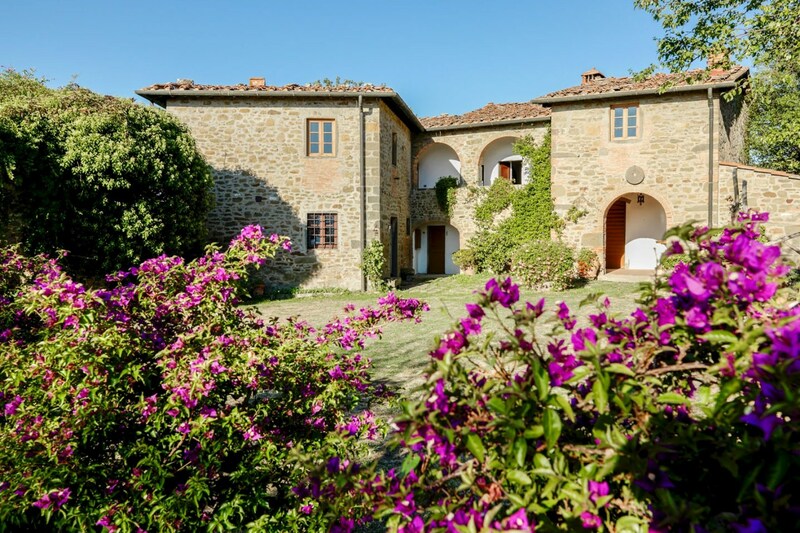 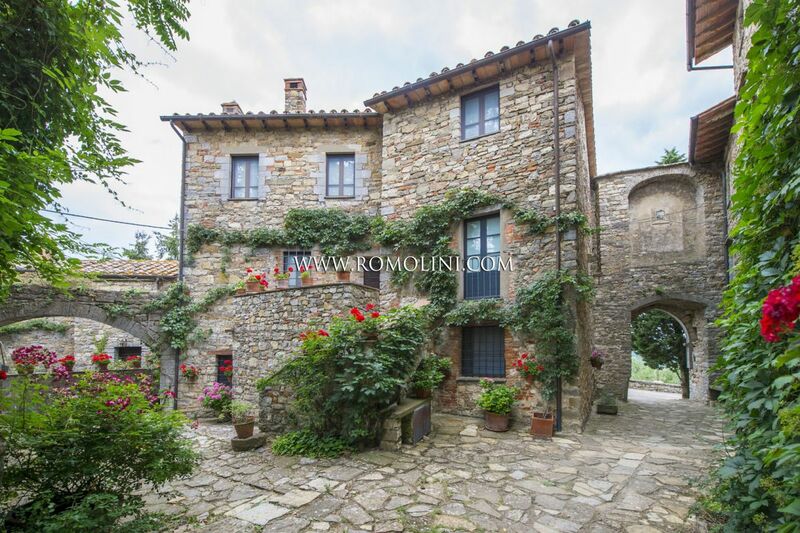 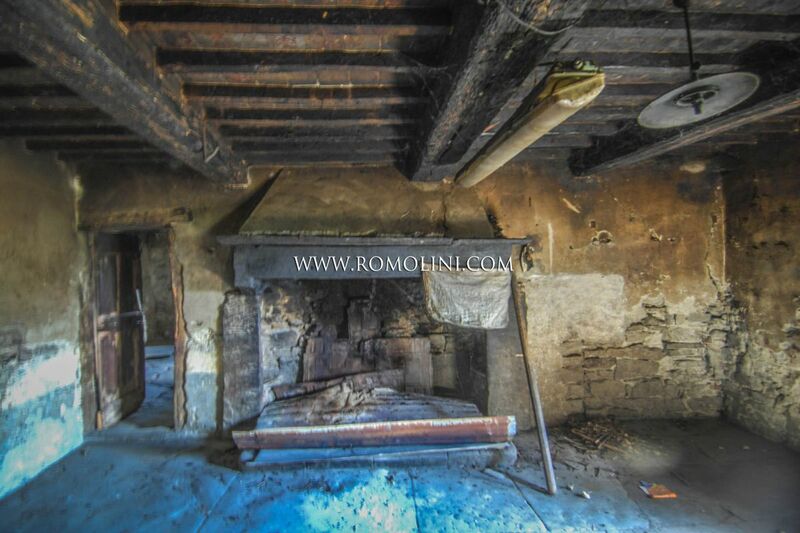 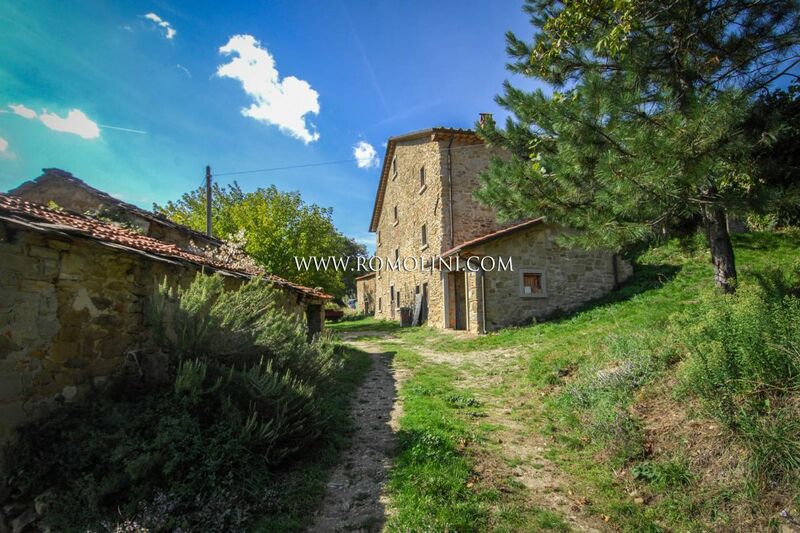 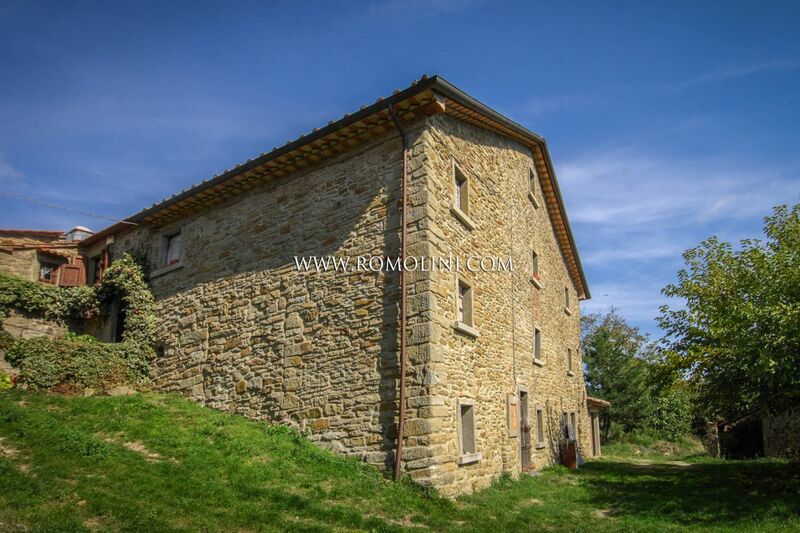 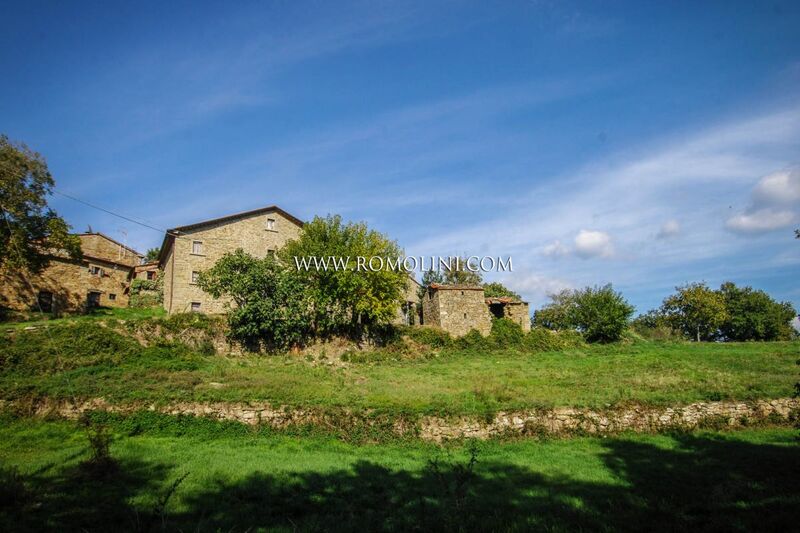 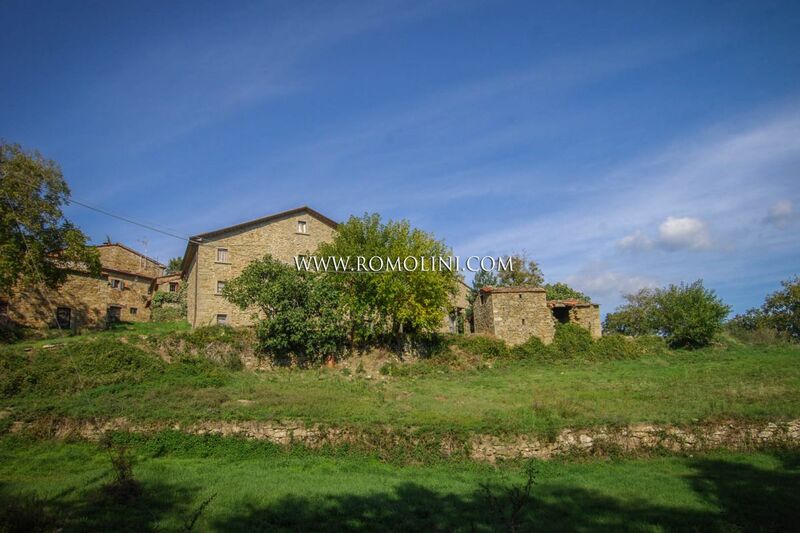 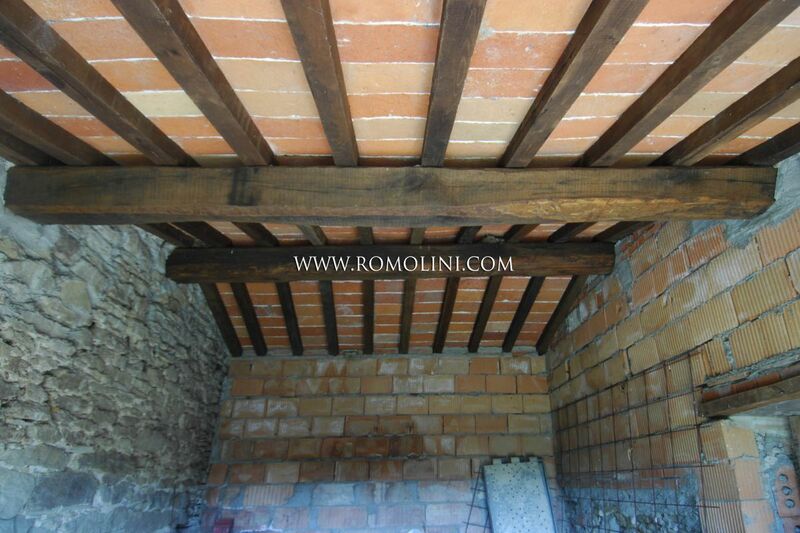 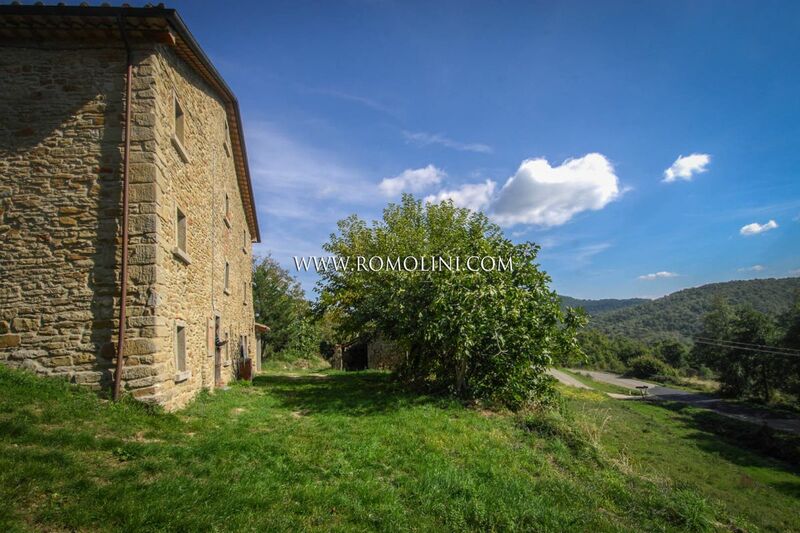 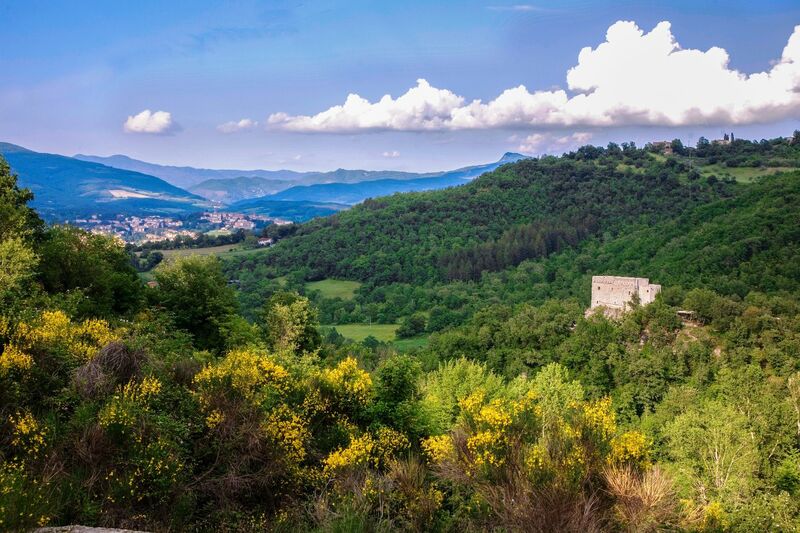 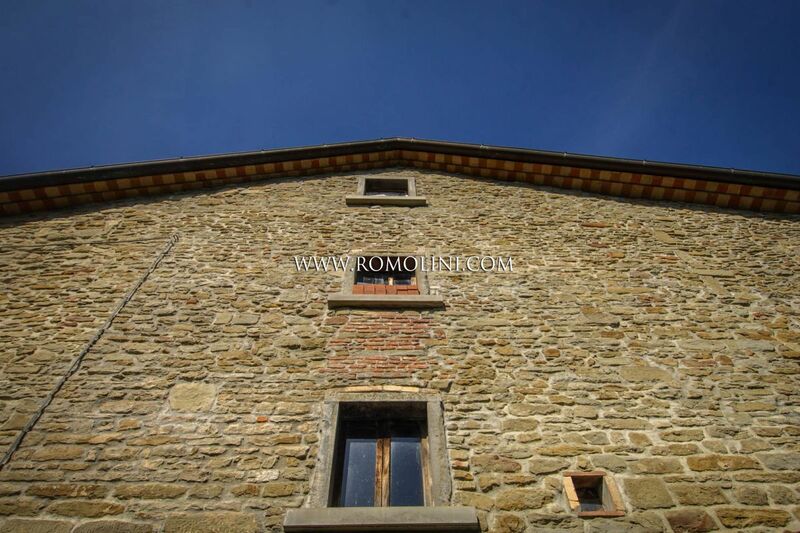 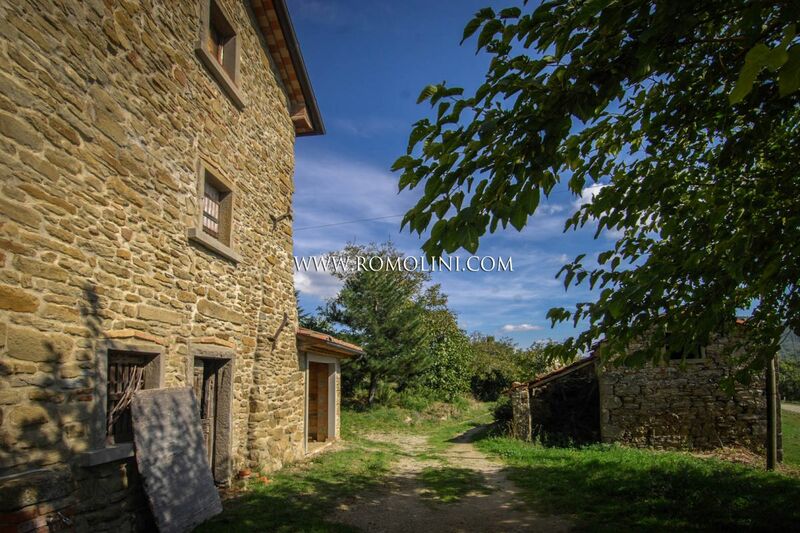 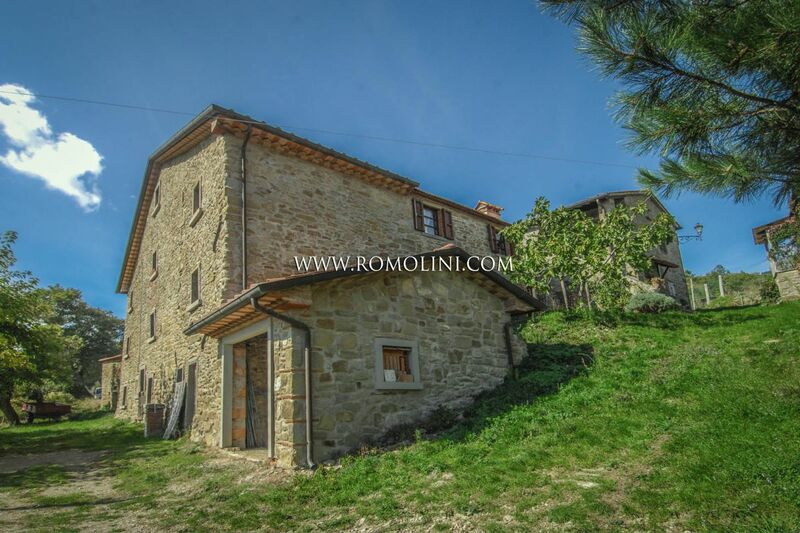 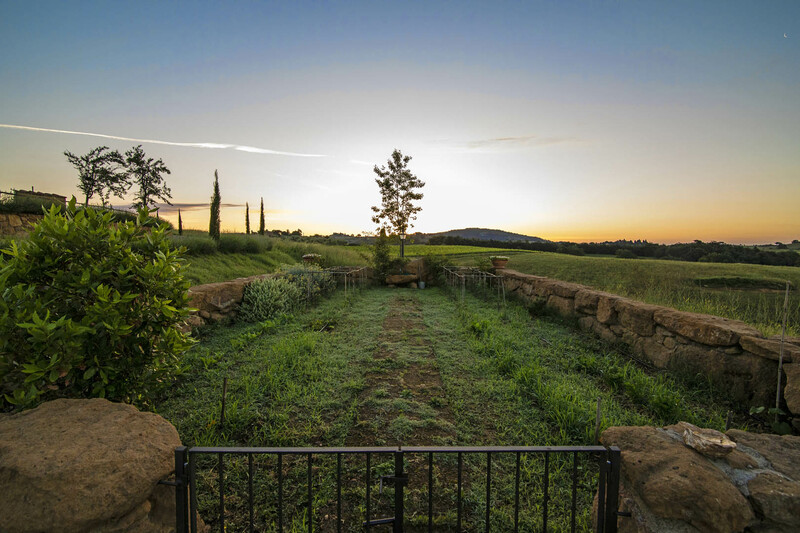 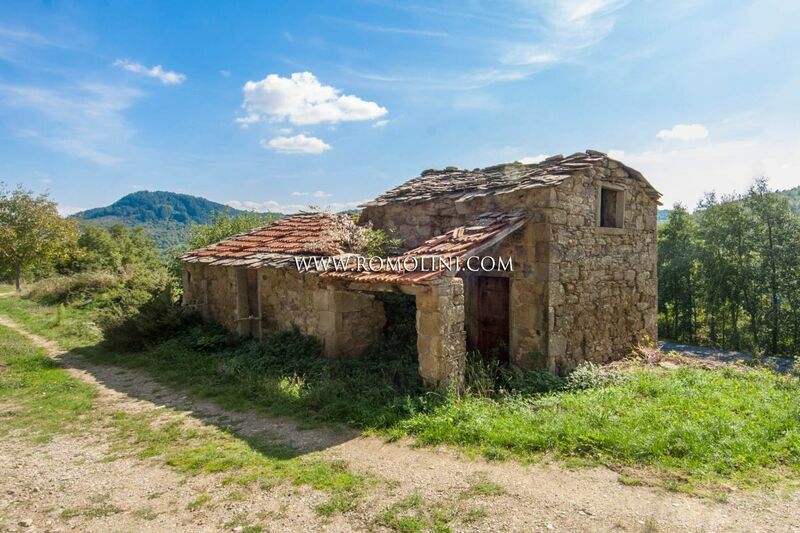 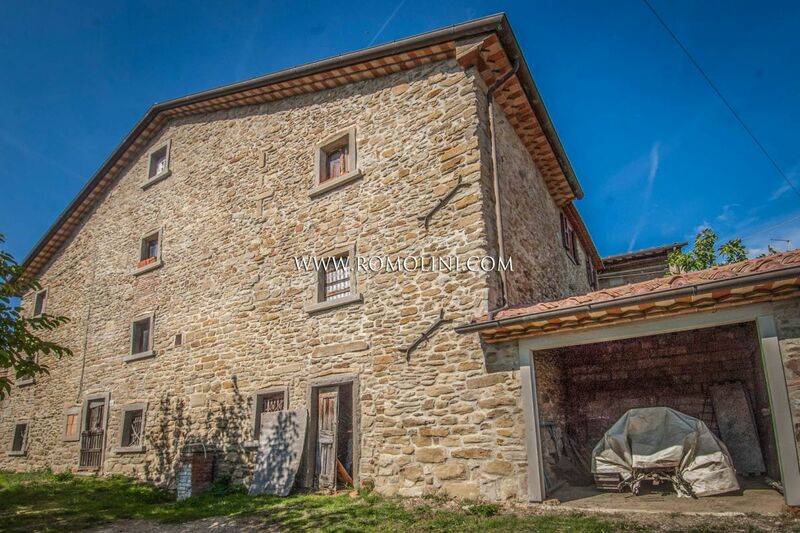 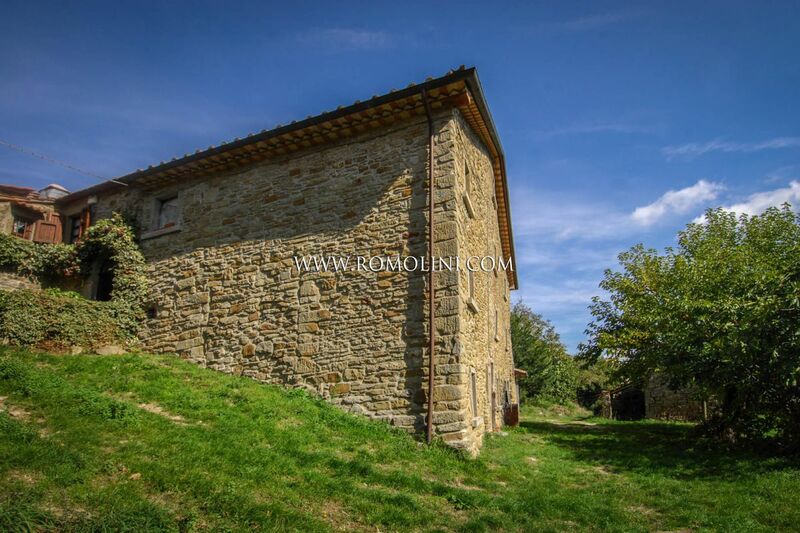 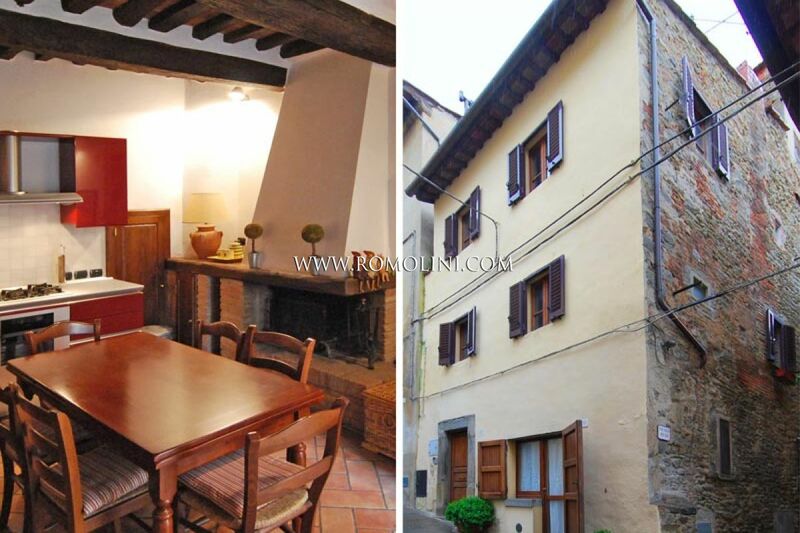 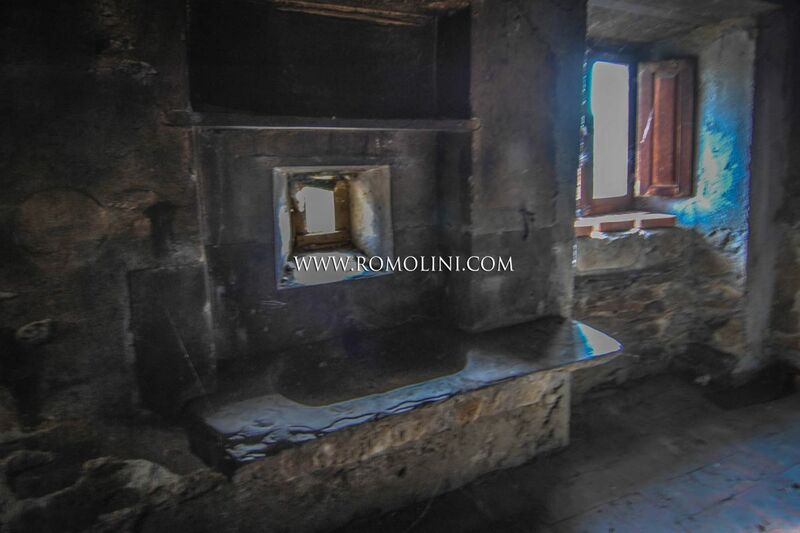 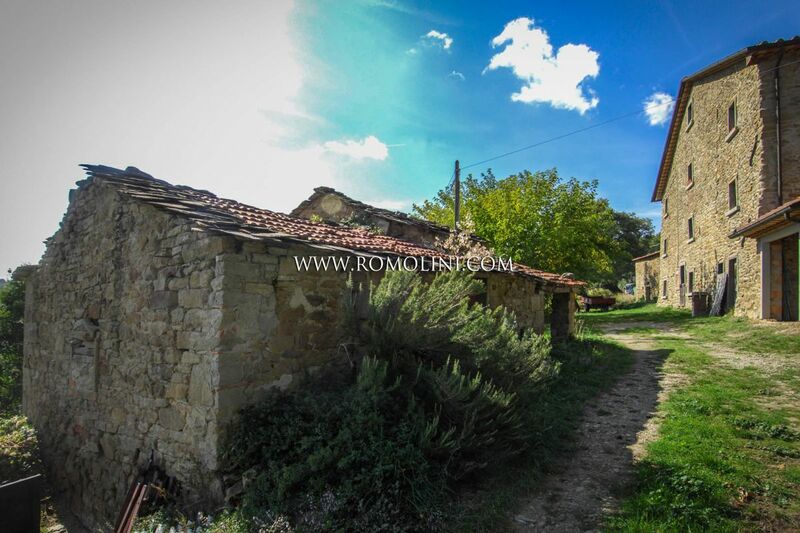 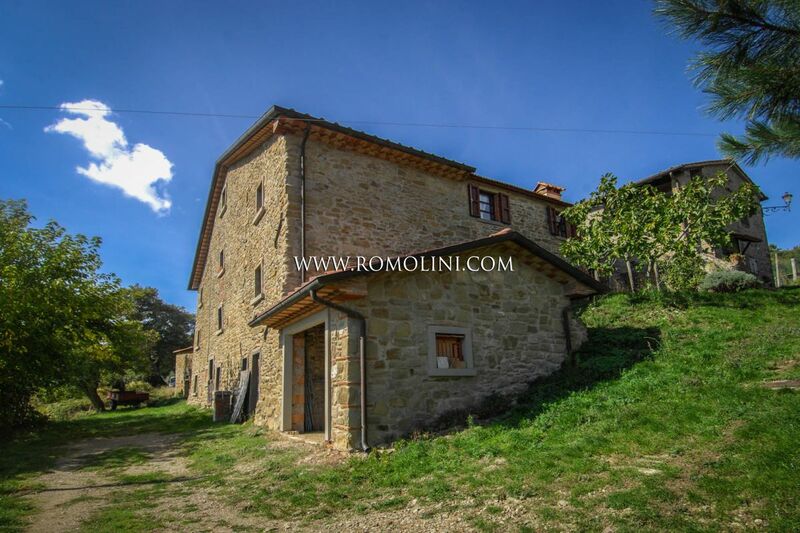 On the hills of the Tuscan countryside, in the province of Arezzo, historical semi-detached stone farmhouse to be restored. 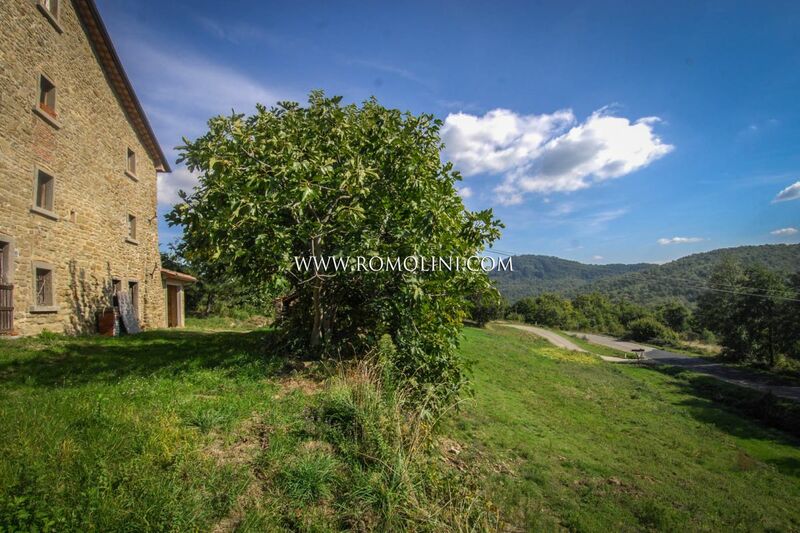 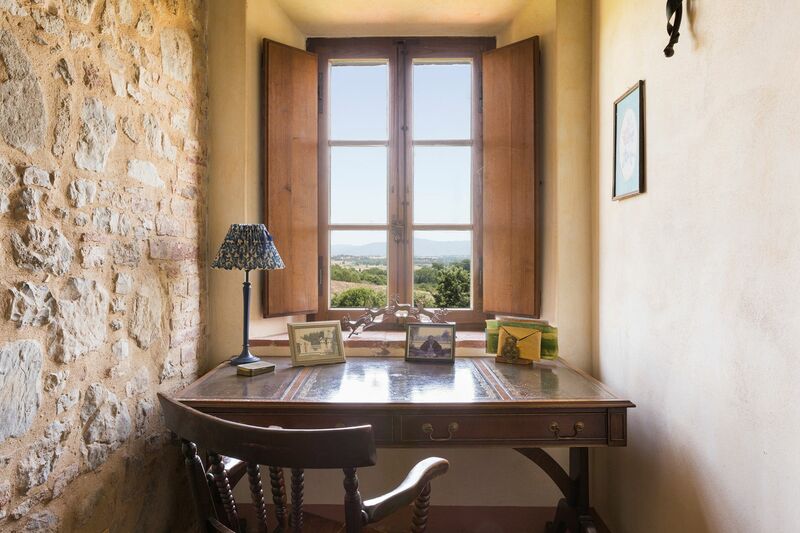 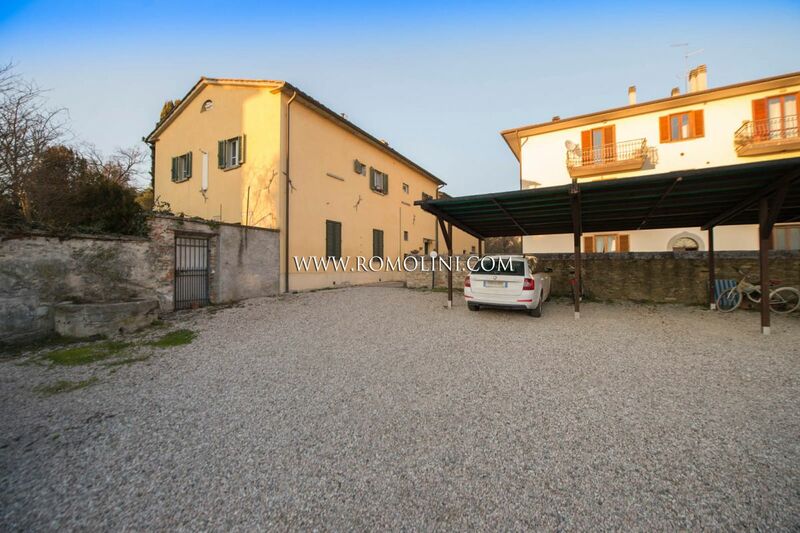 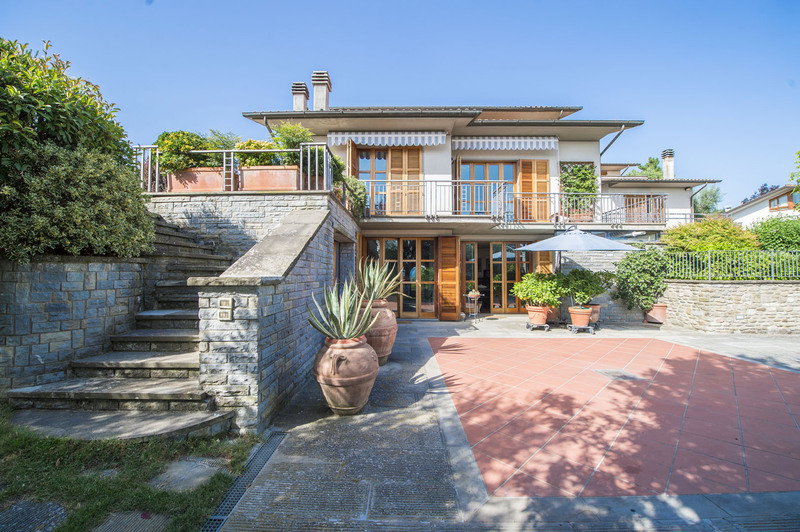 Located in a small hamlet, the farmhouse is easily reached via the municipal road network and located not far from Caprese Michelangelo (13km; 20’), a town capable of offering all the basic services. 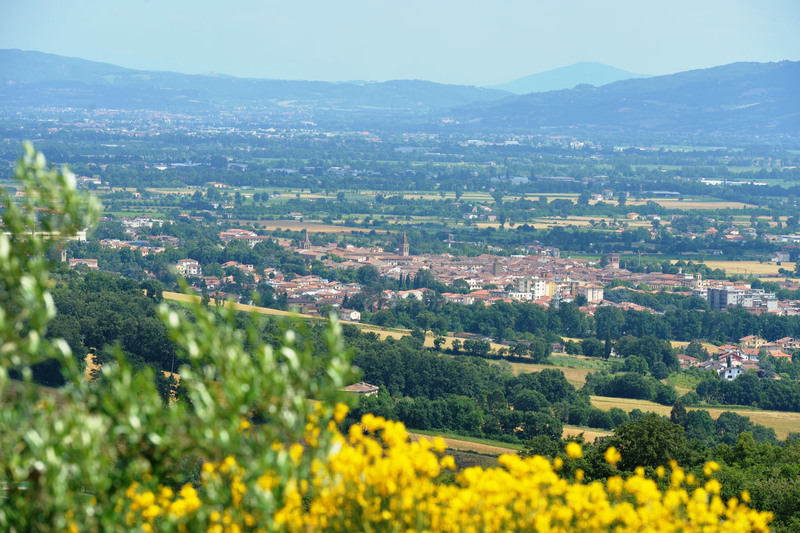 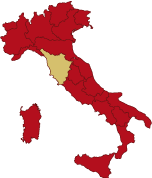 Other towns of Tuscany are nonetheless quickly reachable by car: Ponte alla Piera (4km; 5’), Anghiari (12km; 20’), Subbiano (14km; 20’), Sansepolcro (20km; 30’), Arezzo (27km; 40’) and Florence (98km; 1h 35’). 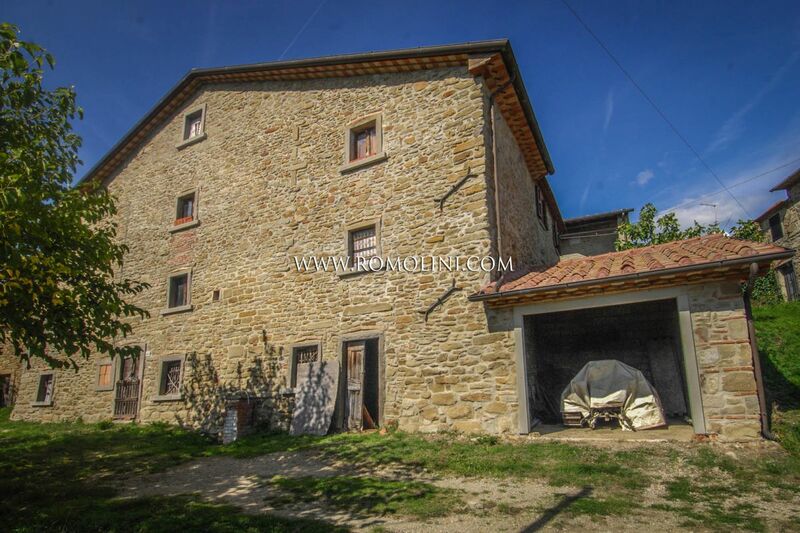 The property boasts a semi-detached farmhouse (approx. 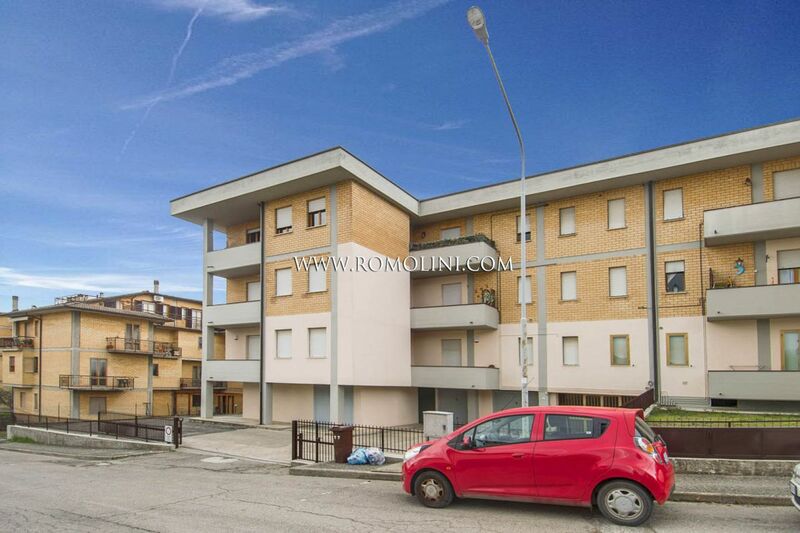 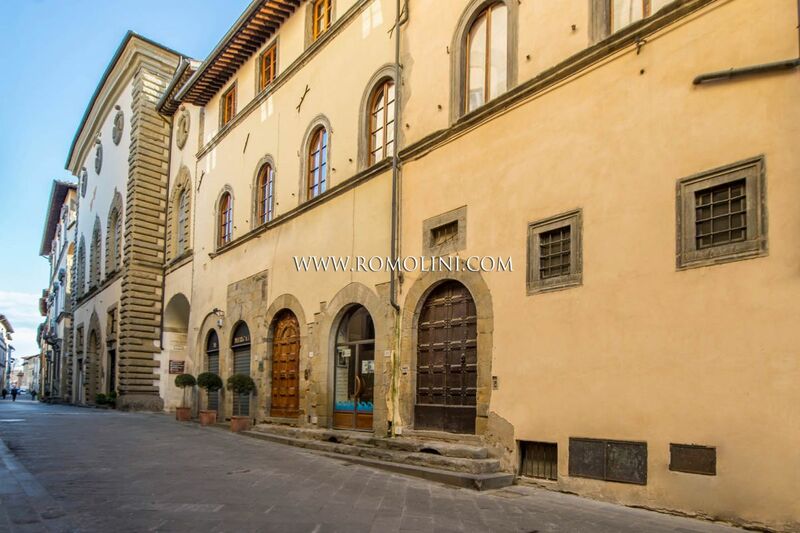 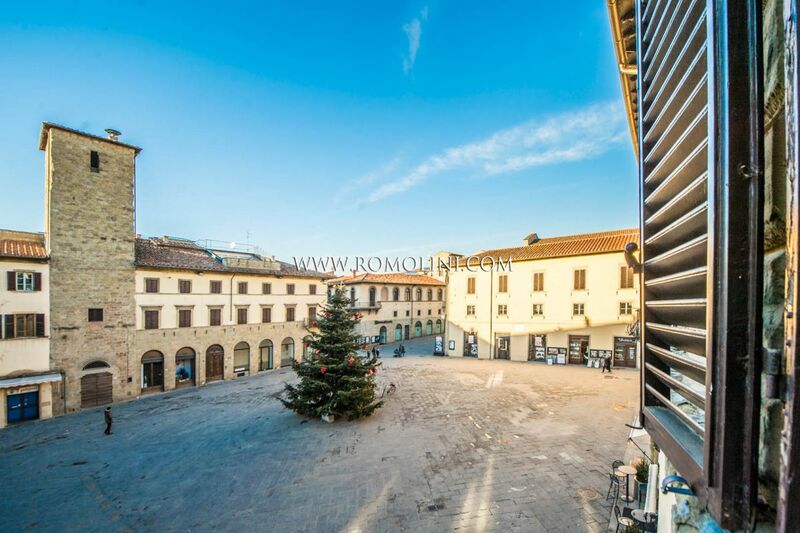 230 sqm – 2,475 sqft) laid out onto three floors plus a loft. 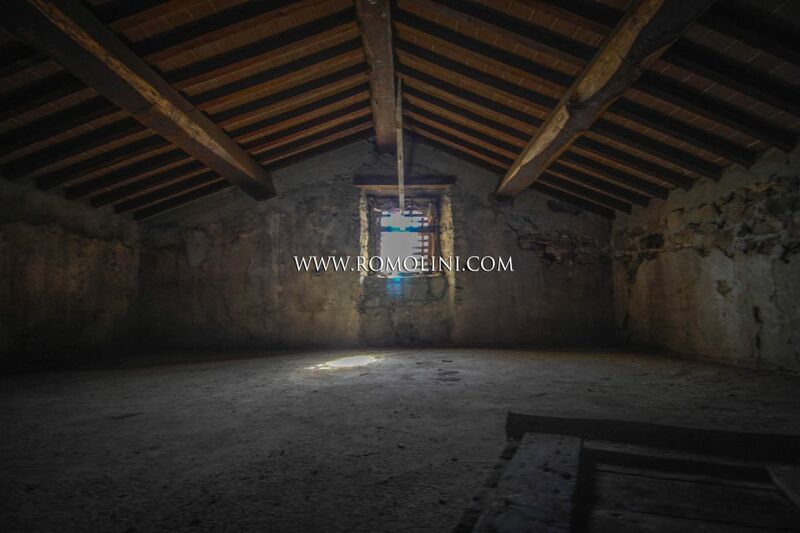 The ground floor is made up of three communicating rooms, once intended as warehouses and tools depot. 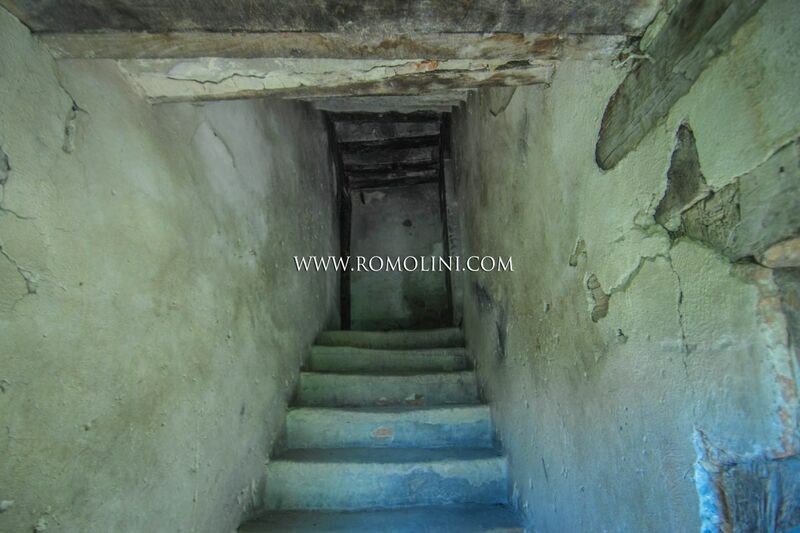 A staircase leads to the first floor, where five locals can be used for the day/night zone of the house. 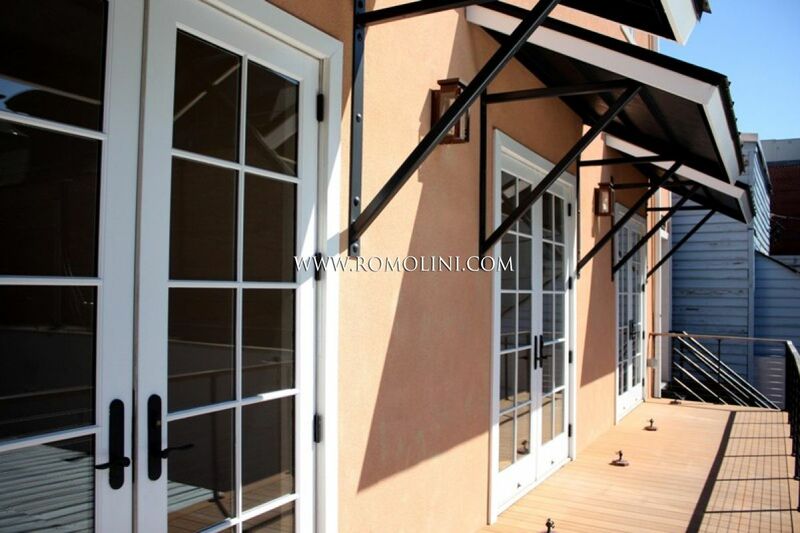 From here, another staircase leads to the second floor, where we have three more ample rooms. 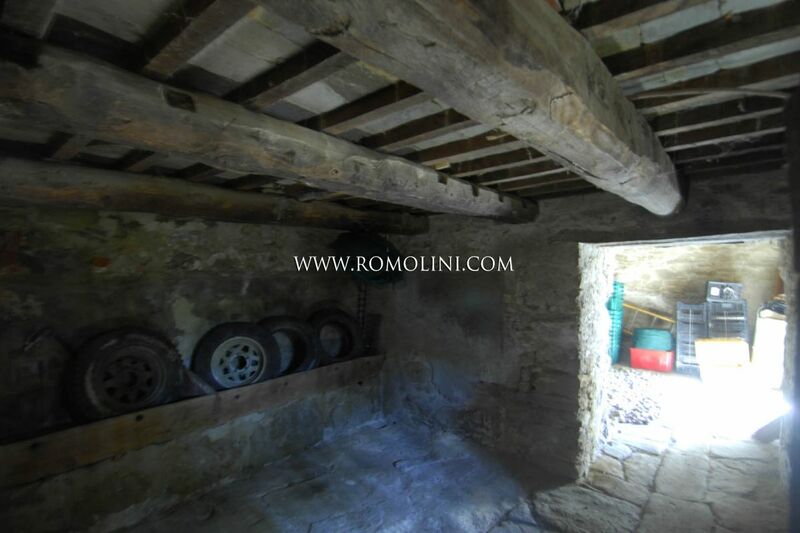 Lastly, we have a loft accessible from the second floor. 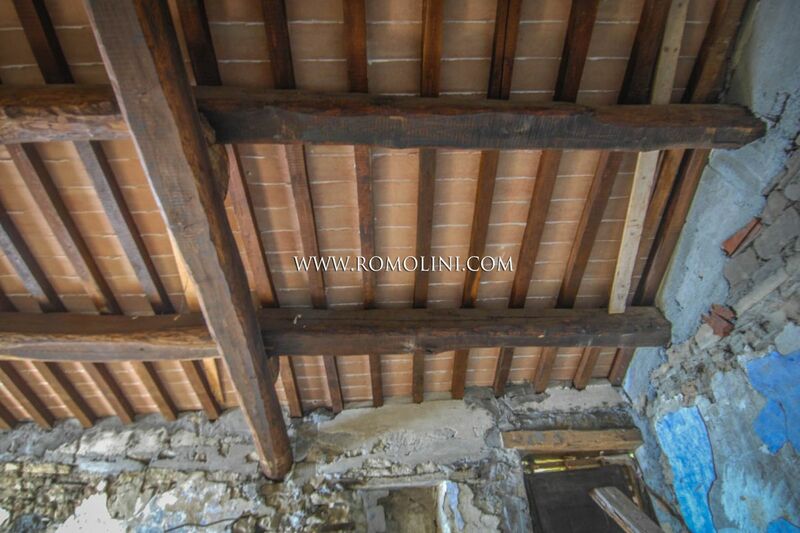 Structurally, the building is in good conditions, thanks to several restoration works carried out in the past years (roofs remade, restored wooden beams). 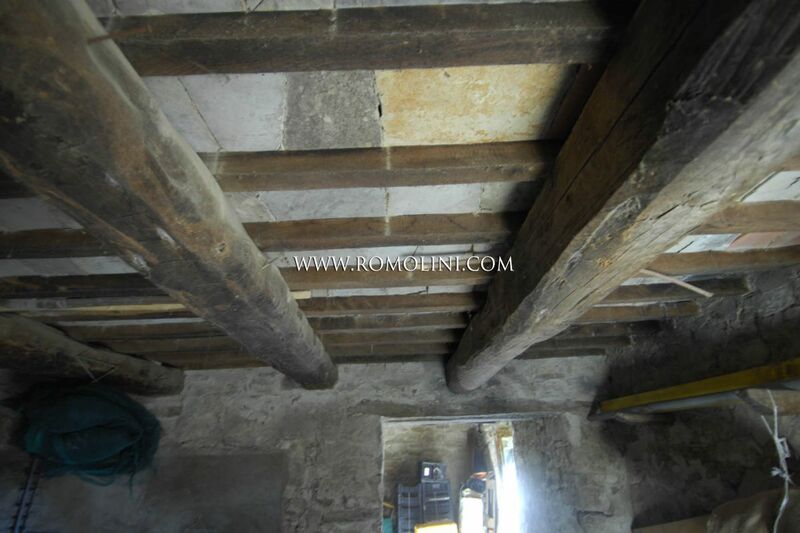 It is however necessary to restore the entire building to make it habitable, since floors and systems are totally missing. 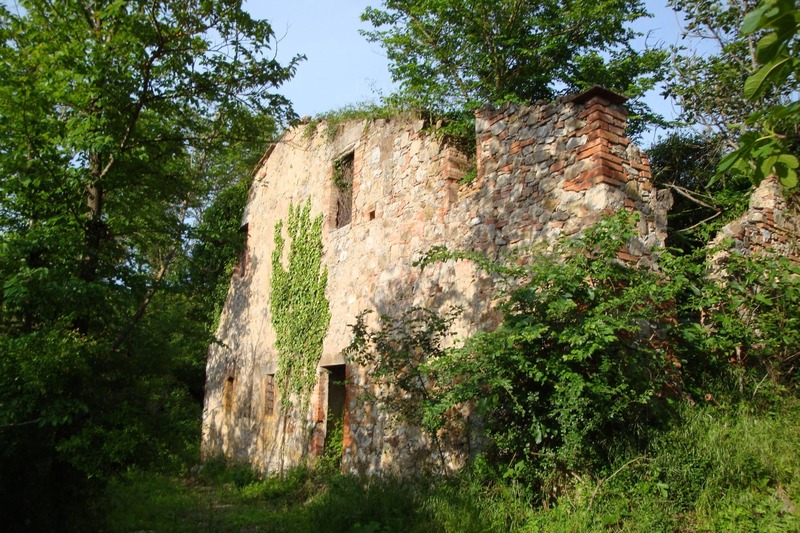 A small ruined building, formerly a warehouse, can be fully restored. 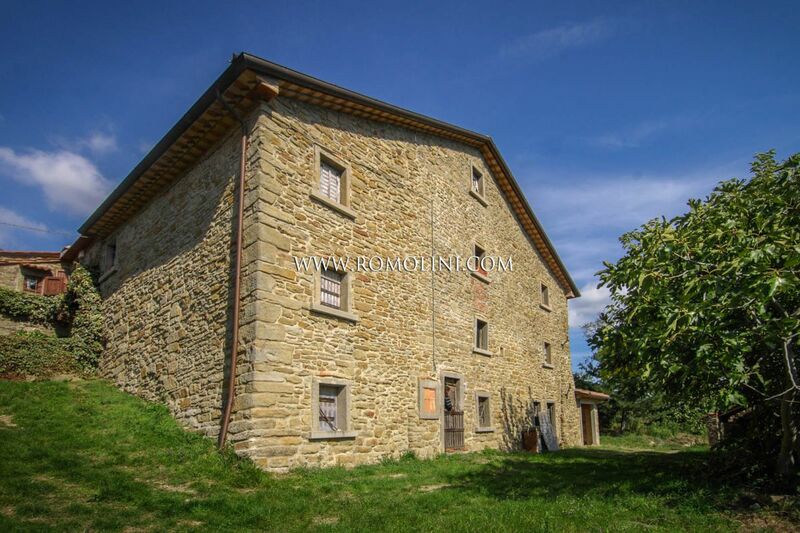 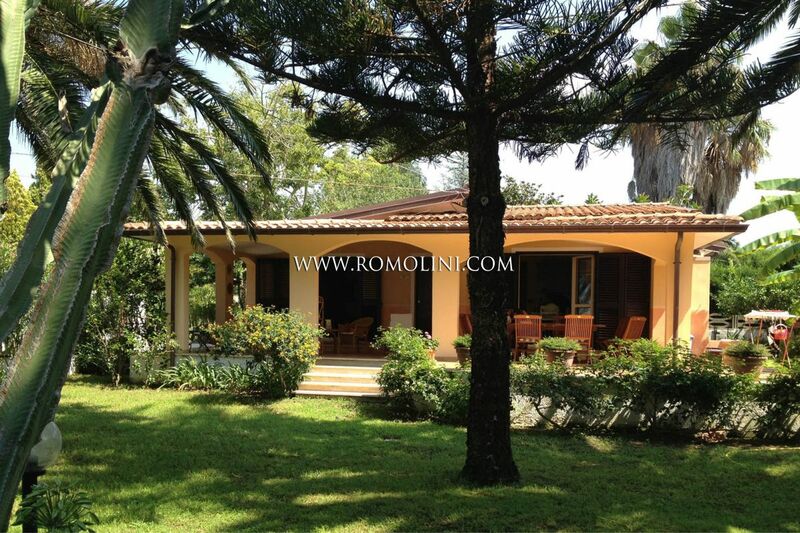 The house is fitted with 2 hectares of land, freely usable as a garden.